Rounding up the best posts of the year is a good habit to get into, but one that I’ve failed to acquire. In 2014 – the ten year anniversary of this site – I rounded up the year’s best performing posts, which does give you a flavour of what was happening that year — but I forgot to repeat it for 2015. This entry was posted in online journalism and tagged 2016, ADVANCED SEARCH, Allo, Andy Kirk, Basile Simon, BBC, Cole Nussbaumer Knaflic, curation, data visualisation, Instagram, linked data, Memories, review, slack, SnapChat, tumblr, twitter, vertical video, Vine, youtube on January 6, 2017 by Paul Bradshaw. Last month Basile Simon from BBC News Labs gave a talk at the CSV conference in Berlin: a two-day “community conference for data makers” (notes here). I invited Basile to publish his talk here in a special guest post. At BBC News Labs, we’ve been pushing for more linked data in news for years now. We built a massive international news aggregator based on linked data, and spent years making it better… but it’s our production and live services who do the core of the job today. We’re trying to stay relevant and to model our massive dataset of facts, quotes, news and articles. The answer to this may lie in structured journalism. Starting in 2012, News Labs was founded to play with linked data. The original team, comprised of many data architects, strongly believed this was a revolution in the way we approached our journalism. 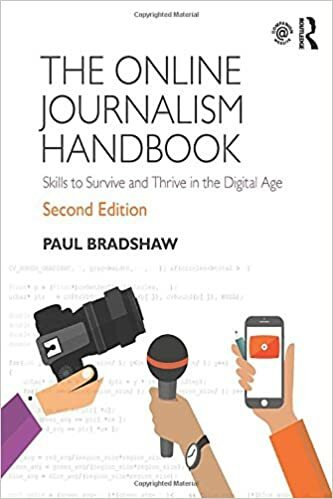 This entry was posted in online journalism and tagged api, Basile Simon, BBC, BBC News Labs, CSV, jacqui maher, linked data, Object-Based Broadcasting, Paul Rissen, structured data, structures journalism on June 6, 2016 by Paul Bradshaw. According to Caswell, adding value to the structured narrative could be a way to return to something similar to the economic mechanism of the 20th century: a distribution-based bundle. 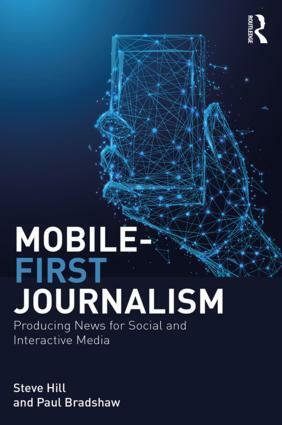 This entry was posted in BBC, online journalism and tagged circa, David Caswell, linked data, News Storyline Ontology, Structured Stories, Timeline App on April 30, 2015 by Agustín Palacio. Various commentators over the past year have made the observation that “Data is the new oil“. If that’s the case, journalists should be following the money. But they’re not. Instead it’s falling to the likes of Tony Hirst (an Open University academic), Dan Herbert (an Oxford Brookes academic) and Chris Taggart (a developer who used to be a magazine publisher) to fill the scrutiny gap. Recently all three have shone a light into the move towards transparency and open data which anyone with an interest in information would be advised to read. Hirst wrote a particularly detailed post breaking down the results of a consultation about higher education data. Herbert wrote about the publication of the first Whole of Government Accounts for the UK. And Taggart made one of the best presentations I’ve seen on the relationship between information and democracy. This entry was posted in data journalism, regulation and tagged Chris Taggart, Dan Herbert, heather brooke, linked data, open data, tony hirst, transparency on July 15, 2011 by Paul Bradshaw. This is the fourth part of my inaugural lecture at City University London, ‘Is Ice Cream Strawberry?’. You can find part one here, part two here, and part three here. So here’s person number 4: Gary Becker, a Nobel prize-winning economist. Fifty years ago he used the phrase ‘human capital’ to refer to the economic value that companies should ascribe to their employees. These days, of course, it is common sense to invest time in recruiting, training and retaining good employees. But at the time employees were seen as a cost. This entry was posted in online journalism and tagged Charles Arthur, Chris Taggart, deliberative democracy, ellen miller, free our data, freedom of information, gary becker, global voices, heather brooke, human capital, inaugural lecture, is ice cream strawberry, liberal democracy, linked data, lokman tsui, MySociety, objectivity, open data, participatory democracy, richard taylor, simon perry, tim berners-lee, Tom Loosemore, tom steinberg, walsall council on March 3, 2011 by Paul Bradshaw. I went to News Rewired on Thursday, along with dozens of other journalists and folk concerned in various ways with news production. Some threads that ran through the day for me were discussions of how we publish our data (and allow others to do the same), how we link our stories together with each other and the rest of the web, and how we can help our readers to explore context around our stories. This entry was posted in data journalism, online journalism, SEO and tagged context, data, data journalism, future journalism, games, linked data, mary hamilton, news games, open standards, RSS, semantic journalism, semantic web, xml on December 19, 2010 by Paul Bradshaw. Charities data opened up – journalists: say thanks. Having made significant inroads in opening up council and local election data, Chris Taggart has now opened up charities data from the less-than-open Charity Commission website. The result: a new website – Open Charities. The man deserves a round of applause. Charity data is enormously important in all sorts of ways – and is likely to become more so as the government leans on the third sector to take on a bigger role in providing public services. Making it easier to join the dots between charitable organisations, the private and public sector, contracts and individuals – which is what Open Charities does – will help journalists and bloggers enormously. “For now, it’s just a the simplest of things, a web application with a unique URL for every charity based on its charity number, and with the basic information for each charity available as data (XML, JSON and RDF). It’s also searchable, and sortable by most recent income and spending, and for linked data people there are dereferenceable Resource URIs. Chris promises to add more features “if there’s any interest”. This entry was posted in data journalism and tagged charities, charity commission, Chris Taggart, data, linked data, open data, openly local on September 6, 2010 by Paul Bradshaw.